Choosing window curtains and draperies can be one of the most enjoyable and rewarding aspects of decorating your home. Finishing touches, like window curtains, can give a room a custom look while also allowing you to express your sense of style. Window curtains and draperies were initially designed to give homeowners privacy. They still do that, but curtains and draperies also soften the appearance of a room and make it feel more cozy and intimate at night. 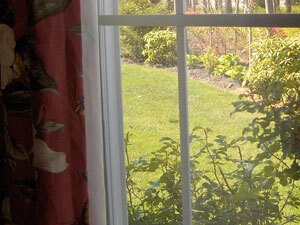 Curtains can also help to control daytime light and glare without blocking out the view. 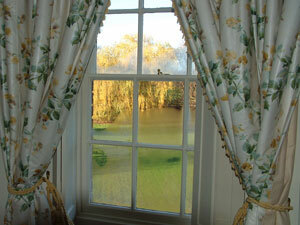 When considering curtains, look at your windows first. Do they cover a large amount of wall space, or are the windows small? Are they dormer or bay windows? Will curtains need to clear the window space so it can be opened? Balance the need for privacy with a clear window view. Curtains can change the look and proportion of a window by making it look wider or taller. They may form a single treatment over several small, side-by-side windows, or they may tie together windows of several sizes in a room by using similar treatments on all windows. Choose curtains that fit your home and furniture styles; perhaps minimal, tailored curtains for a modern home or tie-back, ruffled curtains for a Cape Cod style home. Casual curtains and lined draperies will always be in fashion, and both types of window treatment are available in a wide range of styles, colors, lengths, and sizes. A simple swag may be all that is needed to accent a window, while floor-length draperies might be used for privacy and insulation. Perhaps layering curtains with blinds can provide desired privacy as well as the softness, color, and pattern offered by the curtain fabric. Curtains are usually made from lighter weight fabrics than draperies. While both types of window treatments may be floor-length, draperies are usually lined and made in more formal designs, using an abundance of fabric for fullness. Many types of window curtains and draperies are available ready-made for standard size windows, and these may be more economical than custom products. If you have odd-shaped windows or really specific design and style needs, custom window curtains, while more expensive, may be exactly what you are looking for. Curtain fabrics come in an abundance of fibers and textures, and there are many printed fabrics to choose from. Select fabrics that appeal to you, but also consider their care. 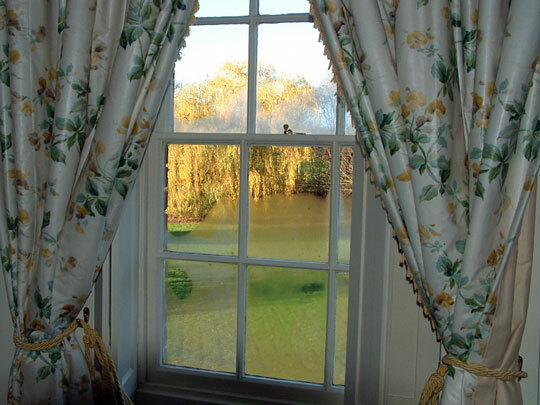 Many curtains can be washed, but most custom decorator fabric manufacturers recommend dry cleaning. 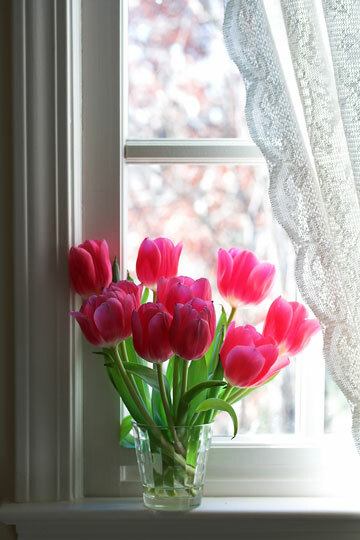 Also consider whether the curtains will be used for a window that gets bright sunlight. Will the colors fade or will the fabrics deteriorate? Some fabric types, such as silk, can be damaged by sunlight. Cotton, linen, and synthetic fabrics are generally sturdier. The cheapest, and sometimes most fun, way to dress your windows is to make your window curtains yourself. Simple, ungathered panels are easy to make and require less fabric than gathered draperies or curtains. They can be hung from poles, rings, or eyelets and are often constructed from solid color linen, cotton, or wool fabrics. Quilted or padded draperies can help reduce drafts, especially if they are long enough to reach the floor. To save money, try using a lightweight, less expensive fabric for your curtains, and top them with a valance made from a heavier, more expensive fabric. Embellish your curtains with trims of your choice, such as beads, buttons, tassels, or tie-backs. Just remember not to overwhelm them with too much trim, and make sure the trim can be cleaned in the same manner as the curtain fabric. WindowCurtains.us features access to window treatment information resources and to several shops that offer both ready-made and custom window treatments. Custom home decor resource offers a selection of draperies, panels, window shades and blinds. Leading home decorating shop features curtains, fabrics, window treatment items and home accessories. Find lace curtains and 19th-century reproduction lace panels. Offers curtains, curtain rods, and discount shower curtains. Choose from a broad selection of basic and decorative window hardware. This curtain and drapery vendor directory lists window curtain retailers throughout the USA. Learn how horizontal blinds, with their adjustable light and privacy capabilities, can complement your window curtains and draperies.